Winter apparel designed to meet the needs of today’s active woman. For 39 years NILS has been crafting high-performance ski wear for women, and they haven’t cut any corners with the design of the New Dominique Pant for the 2018/19 ski season. Let’s take a look at what makes this best-selling pant even better. NILS offers several style and fit options to accommodate a wide range of skiers of every shape, size and ability level. That is why they have divided the Bottom Line Collection into two different categories, the NILS 10k Program and the NILS 20k Program. The New Dominique Pant, like its best-selling predecessor the Dominique Pant (replaced by New Dominique) is part of the NILS 20k Program Line. This means it is both highly waterproof and highly breathable. This season NILS has upped their game bringing the overall waterproof and breathability rating from 20k/15k to 20k/20k, so you can crush the backcountry with extreme confidence and protection. That’s not all the New Dominique has to offer, these high-performance pants use the same technical fabric as the NS20 collection with the added benefit of mechanical stretch ensuring you stay mobile on the mountain. In previous seasons the Dominque Pant used 40g of Thermo Extreme insulation; however this season NILS added another 20g of Thermo Extreme insulation, packing this weather ready pant with a total of 60g Thermo Extreme insulation for lightweight warmth wherever you roam. The New Dominique also has the added the benefit of an internal waist adjuster, allowing you to customize your fit for comfort out on the slopes. And just like its predecessor, these sassy shredders are constructed with critically taped seams that keep moisture out of high impact areas for a dry and comfortable ride lap after lap. If that’s not enough to entice you these on-slope stunners also feature a mid-rise, slim fit that flatters your figure and top stitch detailing at the knee for an articulated structure. Gaiters with Lycra inserts make sliding your boots on and off simple allowing you to get on the hill faster, and zippered gussets at the bottom of your pant helps keep them free of wear and tear so you can wear them for seasons to come. 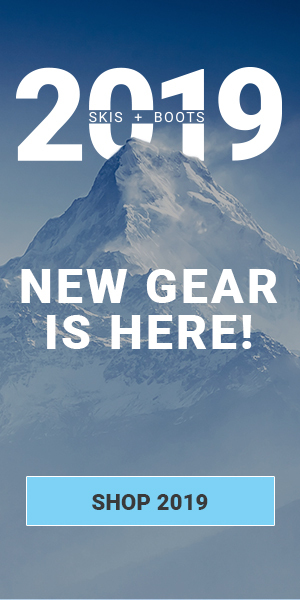 If you like the New Dominique Pant, be sure to check out everything that NILS has to offer at Skis.com. And, as always don’t forget to follow us on facebook and subscribe to our blog below.